Darlings, the holiday season is officially in full-force, which means only one thing – quite a bit of traveling is to be done; and it’s downright impossible to hit the road without a fabulous suitcase in tow! Now, thanks to CSN Stores, one (1) of you beautiful bunnies will be able to scoop up precisely that – or whatever else your heart desires – via a $75.00 Gift Certificate perfect for indulging in a bit of retail therapy – holiday style! 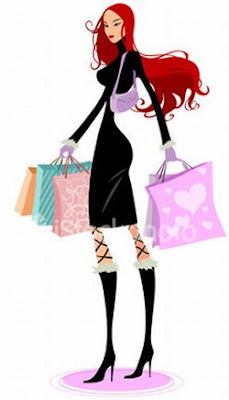 That’s right, dolls; Café Fashionista has teamed up with CSN Stores to bring one (1) globetrotting glamazon a $75.00 Gift Certificate good towards any product found on over two hundred CSN Store sites! ♥For one (1) entry, leave a comment on this post stating what you would buy with your $75.00 CSN Stores gift certificate between now and Friday, December 3, 2010 at midnight PST. ♥ For two (2) entries, Twitter about this giveaway, and leave a comment on this post stating what you would buy with your $75.00 CSN Stores gift certificate between now and Friday, December 3, 2010 at midnight PST with your Twitter URL. ♥ For three (3) entries, become a follower of Café Fashionista on Blogger/Google Reader/Google Friend Connect/Twitter, and leave a comment on this post stating what you would buy with your $75.00 CSN Stores gift certificate between now and Friday, December 3, 2010 at midnight PST (if you are already a Café Fashionista follower, please say so in your comment). I will randomly pick one (1) name out of a hat (who knows, it could be yours! ), and announce the winner on Saturday, December 4, 2010. This Giveaway is open to U.S., Canadian, and UK Residents! Thanks to VANS Blog for the picture. Every girl needs a rolling duffle bag with pink dots on it! Happy Friday, E.
I am follower on Google Connect & Twitter. I would buy some new party shoes from CSN Stores' shoe store! Good luck everyone! a must have for my trip to Florida in the summer! I'm a follower of your lovely blog!! I would put it towards the Thomas Paul Bath Octopus Shower Curtain in Charcoal. I would put it towards the Thomas Paul Octopus shower curtain in Charcoal. LOVE CSN! I would get some new luggage if I won! I would love to put this towards a convertible crib for my son! I would buy a step 2 wagon for my son. I would get new wine and champaign glasses! My are surely. Your giveaways are always so thoughtful! I would give that $75.00 gift certificate to a dear friend. SIKE! Sorry amigas, I would buy that Two Speed Juicer that I've been eying for months! i would love a le creuset baker! I'd use it and get me some SHOES! Disregard that last comment, I forgot to tell you want I want! I want the perfect purse. They have such a collection of everything so I can't wait to narrow it down. yayyy, sounds amazing. I don't know how much the shipping cost is, but I'm going for it! I might get myself a suitcase as I want to prepare myself to go on a holiday. mm. Love it! I so need a new suitcase. Already following you, and tweeting now. P.S Just posted my first giveaway! We both have birthdays in December. Mine is on the 6th. Great giveaway! I really love a great suitcase to conquer the world. I'd love to get some LeCreuset or Emile Henry cookware, maybe a nice tangine cooker. If I won, I'd buy a jewelry box for my niece for Christmas! I actually would buy a new piece of luggage. When in PR my wheel came off of my large suitcase. I need some new shoes. Thank you for this giveaway! Yes please! I am in desperate need of new travel gear! Thank you for this fab giveaway Erika! I'd love to buy a new purse for my holiday travels! I like the London Fog Oxford Collection 21" Expandable Upright Suiter. an amazing give away! Love the pic too. Oh boy, let the holidays begin! Great give away! Oh I love the Liz Claiborne Heritage Print Satchel and would probably put it towards this. I would buy my daughter trunki for Christmas. Would be perfect for all our little trips next year. I like the SOLO Leather 15.4" Laptop Portfolio - so useful for traveling. Follow on Twitter! AH SO MANY OPTIONS. I'd probably go with, urmm, one of the rolly suitcases. Is that really nerdy? Probably. BUT THEY'RE SO AWESOME. I'd get a Le Crueset Baking dish in Caribbean! Ooh, I'd love the Hartmann Signature by Vera Wang Jewelry Roll Bag! I follow, also. I am a faithful follower of yours! If I won this I would most likely get a travel bag...I need one desperately, and if I have anything left over...something decorative for the holidays! Have a great weekend! I just became a new follower! I've been scrolling through all your recent posts and I love it :) I had already bookmarked the site when I saw this and so of course I subscribed as well! I think I would a great knife. we cook a lot and csn stores has some great knife sets. I already follow you. i would love some new dishes! I would really love to get my dog a new house! I'd still apply the GC towards the purchase of this dog house for my dog! I'd get the Cuisinart Panini Maker. I would buy a Unique Arts Textiline Chair. because i am an extremely poor college student with no money for holiday presents... i would most likely spend my gift card on my mom or grandma! christmas time is the time for giving right? follow you via twitter asholesimmons and facebook ashley simmons! I would deffinitely go for BOOTS and put the money towards a pair!!! It's all I can think about lately...you can never have enough! One of their amazing handbags!